Lohsepark functions as a leafy urban planning hinge, a continuation of the inner city ring, which nowadays is only partly green. It passes through Baakenhafen with its Baakenhöft park, and on to the Elbe, joining up to the promenade at Kirchenpauerkai. The attractive planted embankment zone will be 30 meters wide and almost a kilometer long. It creates an urban planning link in the east with the green Elbe island of Entenwerder. The landscape planning competition for Am Baakenhafen neighborhood was won by Atelier Loidl (Berlin), whose plan for Baakenpark convinced the jury. 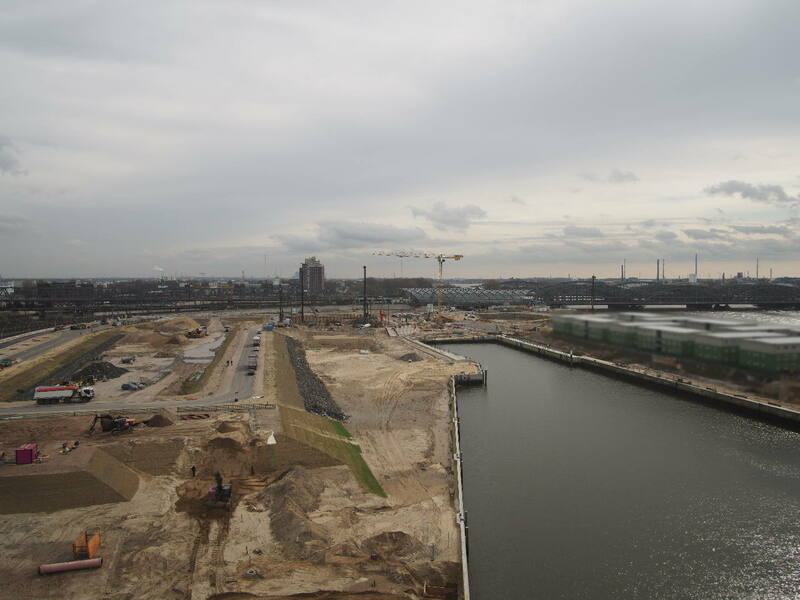 Since 2018, the artificially infilled play and leisure promontory in the center of Baakenhafen basin achieves the spatial integration of the two land areas. Together with a footbridge designed by gmp (Hamburg) and Knippers Helbig Advanced Engineering (Stuttgart), which was put into place in early summer 2017, this forms an important direct pedestrian connection between the north and south embankments of the harbor. This neighborhood recreation and relaxation place is an inviting place to be, given its exciting topography and vegetation. Himmelsberg, a "mountain" almost 15 m high, with trees and attractive lawns and a spacious, contiguous play landscape covering around 3,000 sqm laid out as well as a playground for all ages. The promenades by Versmannkai to the north and Petersenkai to the south frame the neighborhood, forming a continuous overall area on the waterside. Inside the urban area, several small local squares with bars, restaurants and shops on ground floors are central public places which assume important communication and networking functions. Elbbrücken quarter is already assuming contours. In fall 2015, the last urban planning competition for HafenCity came to a successful conclusion. The winning design by Hosoya Schaefer Architects (Zurich) cleverly mediates between the public and the spatial framework. The open space competition that followed was a repeat success for Atelier Loidl (Berlin), which was the winner in Baakenhafen. The winning design, declared the jury in December 2016, takes its inspiration from the red-brick esthetic of Baakenhafen, upgrading Amerigo Vespucci square to be a new focus for the neighborhood. It will become a robust urban square which can be used flexibly for events – and HafenCity’s largest.